With an estimated 60 million golfers in the world, there’s always been plenty of potential for growth in the golf tourism market. This potential looks set to be realized if the rapid expansion of golfing-focused vacations and packages over the past few years is anything to go by. 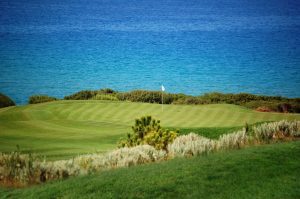 Golfing holidays galore : enjoying a raft of new destinations! Golf as a sport has been enjoying something of a resurgence of its public profile recently, perhaps best reflected by the sport’s inclusion in both the last Summer Olympics in 2016 (after an absence of 112 years) and in the upcoming games in Tokyo in 2020. Combined with cheaper air travel, this has helped fuel a major increase in the number of specialist golf holidays on offer. These are organized by dedicated golf tour operators and golf resorts, but can also be included as a component in traditional package deals. As golf has spread from its long-standing strongholds in the western world and become far more popular in Asia, it’s now possible to enjoy a very different kind of golfing experience in places like Vietnam, Thailand and Turkey. Other up-and-coming destinations are equally diverse and include Bulgaria, Morocco, the United Arab Emirates and South Africa. There are golfing holidays, and then there are luxury golf holidays. So, what are the various ingredients that distinguish the two? Obviously, the standard of accommodation included in such a package is key, as a luxury golfing holiday would hardly be worth the name if not accompanied by luxury (usually four or five star) lodgings. Other important bonuses include facilities designed to help golfing enthusiasts really get the most out of their time away, such as kids’ clubs. However, what will make such a stay really special is the quality of the golf course, and that’s where luxury packages really come into their own. Some hotels and resorts offer the chance to play on championship courses, others boast the challenge of a 27 hole layout. Yet more draw in the crowds because of the brains behind their courses. For example, certain top-end golfing packages will give a lucky few the opportunity to enjoy greens designed by greats of the sport including Arnold Palmer, Nick Faldo and Christy O’Connor Jr. Discover Provence and its magic!